Butterscotch Shenanigans' latest space action RPG just hit the Play Store today and it looks epic. 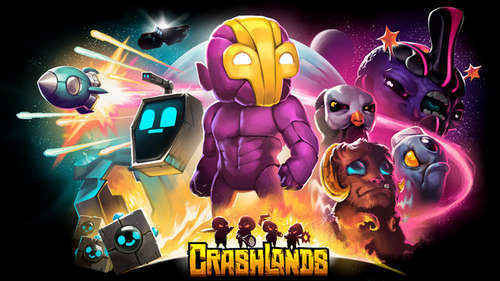 Grab your copy of Crashlands Apk v1.1.3 and try to survive in a distant planet on which you crash landed. The basic premise of the game has you to crash on a nearby but unfamiliar planet after someone stole a part from your galactic delivery spaceship. You'll need to repair your ship with the help of your floating cargo pallet JuiceBox. You start your journey in Crashlands by collecting supplies, building and upgrading stuff, with one goal in mind: deliver the packages that you were on the way to deliver before this huge alien thing destroyed your ship. It's all very dramatic and important. - Unlock over 500 craftable items as you explore the world and learn its secrets! - RPG-Style Character Progression: As you grow in power, you can venture to new regions of the world, meet strange characters, discover new stories, and encounter new and interesting enemies. - Building a base in Crashlands is so simple it feels like fingerpainting. You can create beautiful, sprawling bases in minutes! 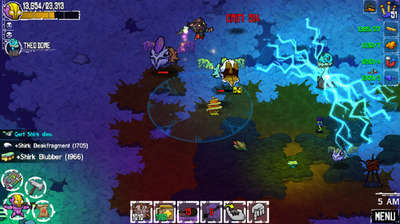 - Every creature in Crashlands can become a trusty combat sidekick. Find an egg, incubate it, and hatch your very own adorable or hideous bundle of joy. You can even craft special items to grow and empower them! - Try to deliver your packages in a huge world with four sentient races, three continents, an epic bid for the future of the planet. With hundreds upon hundreds of quests, there's a lot to do and discover on planet Woanope! 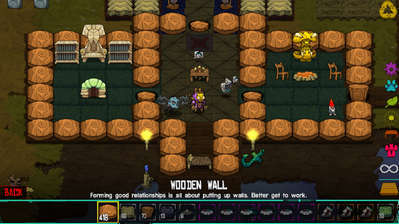 - Cross-platform fun: Transfer your Crashlands save to any other device you own it on and keep playing. - Recoded how the map is being rendered, which should fix the black-line-on-map problem. Your map will have to be redrawn after you update, which can take a minute or two.